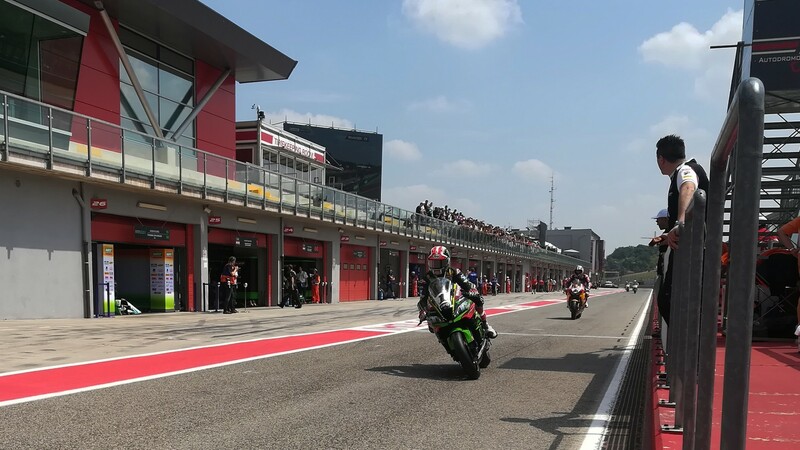 In a Free Practice 2 session that in many ways mirrored the first, Jonathan Rea (Kawasaki Racing Team WorldSBK) ran the fastest lap of the field, as the fight to enter tomorrow’s Tissot Superpole 2 tightened up amongst the MOTUL FIM Superbike World Championship riders. The three-time world champion scored a best time of 1’47.038, the fastest from FP2 by nearly two tenths of a second, but still behind the 1’46.951 he recorded two hours prior. 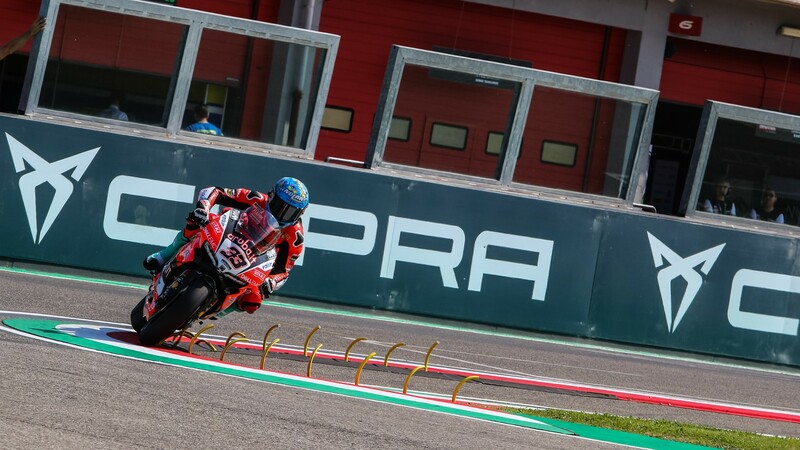 Moving into second place behind him, Marco Melandri (Aruba.it Racing – Ducati) improved upon his FP1 best lap to push ahead of teammate Chaz Davies (Aruba.it Racing – Ducati), who could only come in fifth for the session but remains third overall for the day. 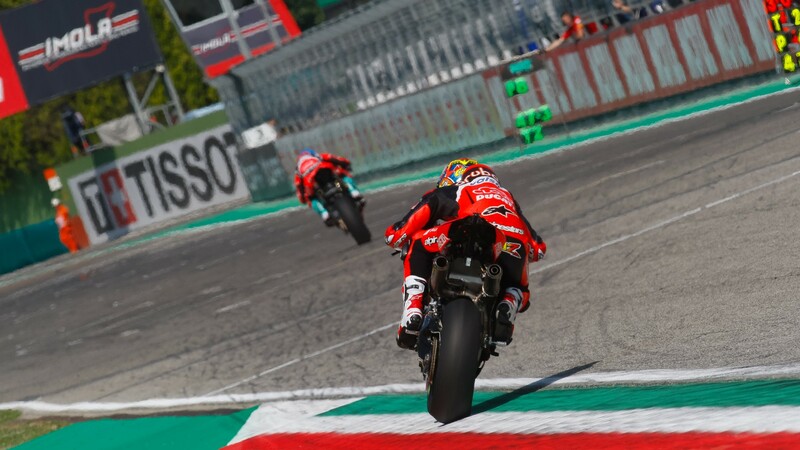 Behind the two Aruba.it riders, the biggest leap from FP2 was performed by Lorenzo Savadori (Milwaukee Aprilia), who jumps from thirteenth to fourth. 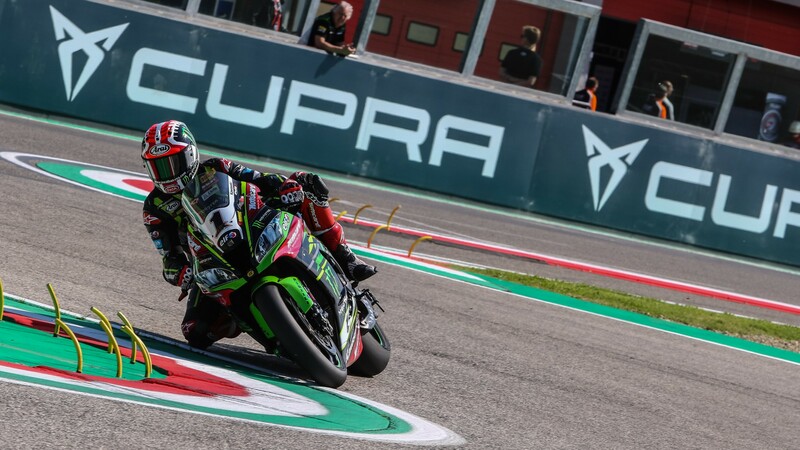 Tom Sykes (Kawasaki Racing Team WorldSBK) repeated his fifth position from FP1, with Jordi Torres (MV Agusta Reparto Corse) moving into sixth. Xavi Fores (Barni Racing Team) fell into seventh position, despite improving his earlier times. Eugene Laverty (Milwaukee Aprilia) continued to show good pace on his return with the eighth fastest time, pipping ahead of Alex Lowes (Pata Yamaha Official WorldSBK Team), who recovered from his FP1 crash, by one hundredth of a second. Completing the top ten, as he did in FP1, was Leon Haslam (Kawasaki Puccetti Racing). 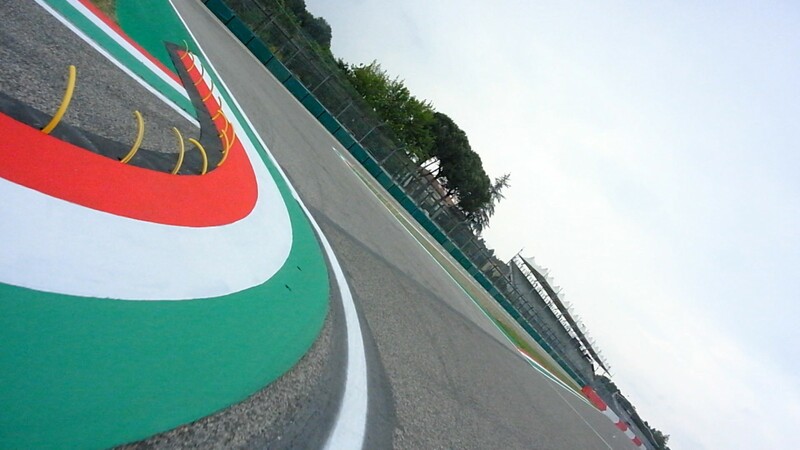 Time is running out for the WorldSBK riders to make it into tomorrow’s Superpole 2! Watch the full FP3 from 16:05 (14:05 GMT) live thanks to the WorldSBK VideoPass.